Hello Friends, Are you waiting for Gujarat High Court Admit Card 2019? If yes, then here is very important news for you. High Court of Gujarat is going to conduct written exam for 124 Civil Judge Post. Candidates who are participating for the written exam must have their call letters to get eligible to sit in the examination hall. Gujarat HC Prelims exam will be held on 05.05.2019. Applicants can download Gujarat HC Hall Ticket 2019 from the link given below. To get more details relevant to admit card participants must read the given article carefully. Fresh Update as on 06.04.2019: Hello Friends, Gujarat High Court Civil Conduct Civil Judge Preliminary Examination on 05.05.2019. Candidates who register for exam may download Gujarat High Court Admit Card 2019 from links given here. The Department will release Gujarat HC Hall Ticket before 10 to 15 days of examination. Fresh Update as on 07.03.2019: Participants who have applied for 76 Stenographer post can download their Gujarat High Court Admit Card 2019 from here. Exam will be going to take place on 10.03.2019. For more updates applicants stay in touch with us. Why Gujarat High Court Admit Card 2019 Is So Important? From Where We can Download Gujarat HC Call Letter Easily? When will Gujarat High Court Admit Card 2017 released – Civil Judge Exam Date ? What is the Gujarat HC Civil Judge Exam Pattern/ Selection Criteria 2017 ? How I Check Gujarat High Court Hall Ticket 2017 | Gujarat HC Civil Judge Call Letter ? Process of Downloading Gujarat High Court Admit Card 2017 – Civil Judge Pre Exam? Prelims exam will be in three parts i.e. Part A, B & C.
Exam paper will be of total 100 marks. All questions will be objective type in nature. Negative marking will also be done for every wrong answer 0.33 marks will be deducted. Mains exam will consists of three papers i.e. Criminal, Civil & Gujarati Language. Paper I & II will be of 75 Marks. Paper III contains 50 marks. Time duration for Paper I & II will be 2:30 Hours. For Paper III duration will be 1:30 hours. Gujarat HC Civil Judge Exam Center will be mentioned on Gujarat High Court Admit Card 2019. Size & Format of Gujarat High Court Civil Judge Hall Ticket 2019 A4 size sheet & prescribed format which has been set by the department. If Applicants Forget Application Number & Pin Then How Gujarat High Court Admit Card Will Be Downloaded? Can Gujarat High Court Civil Judge Hall Ticket Be Download By Name Wise? No, candidates can not take print out of Gujarat HC Admit Card by name wise. To download call letters applicants must have their application number. Conclusion: Gujarat High Court is going to conduct written examination for 124 Civil Judge Post. Participating candidates must download Gujarat High Court Admit Card 2019 from here. Preliminary exam will be going to be held on 05.05.2019. Dear Candidates going to appear for High Court of Gujarat then download Gujarat High Court Admit Card 2019. Department has been announced that a Written Exam will be organized for 76 Stenographer Post. Participating aspirants may download Gujarat HC Steno Hall Ticket from here. the Written Examination will take place tentatively on 10.03.2019. For further more information candidates may refer to the below article. About Gujarat High Court: This High Court is the High Court of the state of Gujarat. Gujarat High Court was founded on 01-05-1960 under the Bombay Re-organization Act, nineteen sixty (1960) after the state split from Bombay State. The seat of this court is situated in Ahmadabad. The court has sanctioned judge strength of forty-two (42). Candidates will also use the direct link to download their Gujarat High Court Admit Card 2019 which will be posted on this page when the admit card will release. Summary of the Gujarat High Court Vacancies 2019: The High Court of Gujarat invites Online Application from young and talented applicants for filling up 76 vacant posts of Stenographer in 2019. The interested and eligible candidates can apply through Online Registration Method for Gujarat High Court English and Gujarati Stenographer Grade II Recruitment 2019. The candidates are able to submit their Application Form up to 3112.2019. The Gujarat High Court will NOT accept any Application after the Closing Date. Time and Venue of the exam will be written on the admit card. Candidates are advised to download their Gujarat High Court Admit Card 2019 before the exam. Here we provided you links to download Gujarat high Court Hall Ticket 2019. Selection of the applicants for Stenographer Vacancy will be based on Exam Scheme. According to Department Rules, Gujarat HC will conduct Stenography Test & Viva Voce for recruiting candidates on Stenographer Scale – I Post. For recruiting Scale II Steno Vacancy department will conduct the Stenography Test & Written exam. 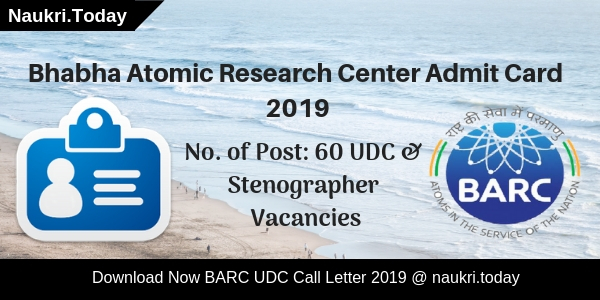 Candidates can check stenographer exam date which is going to held on 10.03.2019. Gujarat High Court Hall Ticket 2019 | Gujarat HC Steno Admit Card 2019: For all the competitive examinations it’s a procedure of verifying the Admit Card/ Hall Ticket. Since it is an important document to be carried out by the candidates appearing for the examination. Admit card can be downloaded from the above-mentioned website by feeding the date of birth and confirmation number on the login page. The Gujarat HC Steno Admit Card 2019 contains the information about the examination center details, time & date, and instructions. Candidates should bring the hard copy of their to admit card in the examination hall. Candidates should download their Gujarat High Court Admit Card 2016 before the date of exam. Find the link on the home page as Gujarat High Court Hall Ticket/ Admit Card. Choose the connected examination link as Stenographer Grade-II Exam and press on it. Fill the complete info like registration no., name and DOB. 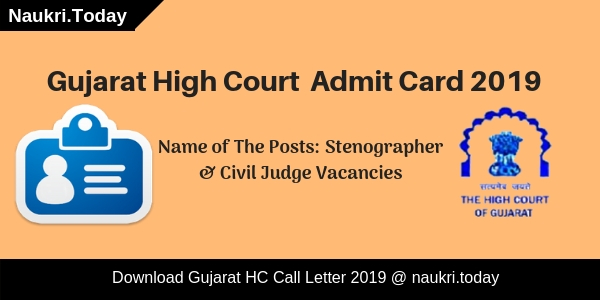 Take the hard copy of Gujarat HC Steno Admit Card 2019. Keep it safe till the end of the exam. Conclusion: Gujarat High Court Department is going to conduct written examination for 76 Stenographer Posts on 10.03.2019. Candidates may download their Gujarat High Court Admit Card 2019 form links given here. Do you want to download Gujarat High Court Admit Card 2018-19 for Class IV Vacancy??? If yes, then this article is helpful for you. Gujarat High Court is going to conduct written examination for filling up 1149 various class iv vacancy. A large of applicants have filled the online application form. Now they are eagerly waiting to download Gujarat High Court Call Letter 2018-19. The examination will be held on 17th February 2019. Applicants those are going to participate in the examination must download their Gujarat HC Hall Ticket 2018-19. It is a necessary document and must carry at the examination venue. Gujarat High Court Admit Card for Class IV various vacancies is available here or gujarathighcourt.nic.in official site. Candidates those are eligible to participate in the examination must collect Gujarat High Court Class IV Exam Call Letter. Without it, the examiner will not permit to attend the examination. Furthermore, such as what is the exam date? How to Download Gujarat High Court Hall Ticket 2018-19? & other information you can collect from below paragraphs. Gujarat High Court has released the notification for filling up 1149 class IV vacancy. There are Chowkidar, Liftman, Water Server, home Attendant, Jail Warder, Peon, Sweeper posts. Gujarat HC Online Application Form is available from 01.11.2018 to 30.11.2018. 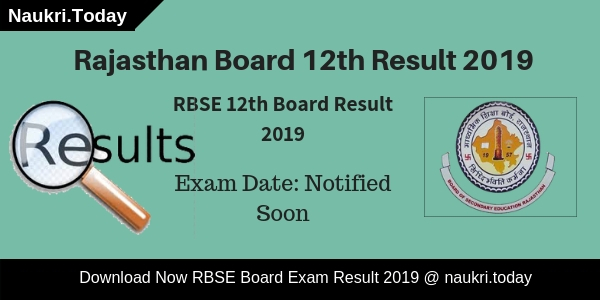 Now the department will conduct the written examination on 17th February 2019. To participate in the examination applicant must require Gujarat High Court Admit Card 2018-19. It is the important document as per exam perspective. The examiner will not allow you to enter in the hall if you don’t have Gujarat HC Hall Ticket 2018-19. Applicants selection will be made on the basis of marks obtained in written examination. Candidates must qualify the written examination to select for Gujarat High Court Class IV Recruitment. If you are not qualified the written examination then you are not selected for given posts. As per exam point of view, your Gujarat High Court Hall Ticket 2018-19 is an important document. Applicants can check all information regarding the examination on their call letter. Thus the candidates must download Gujarat HC Admit Card 2018-19 either here or official site. The department will conduct the examination on 17th February 2019. You can collect your Gujarat High Court Call Letter from the first week of February 2019. Here in below section, we mention some of the information which is printed on your Gujarat HC Class IV Admit Card 2018-19. Applicants those are going to participate in the class iv written examination also carry one photograph & signature along with Gujarat High Court Admit Card 2018-19. You must carry the given documents at the examination center. Otherwise, the examiner will not allow you to enter in the examination hall. Our team provides you list of documents carry along with Gujarat HC Hall Ticket 2018-19. Candidates those are going to participate in 17th February 2018 Gujarat HC Exam 2018-19 must download their call letter. You can download your Gujarat High Court Exam Admit Card 2018-19 using your registration credentials. Now you can follow some given below instructions to download Gujarat High Court Call Letter 2018-19. First of all, visit the official site gujarathighcourt.nic.in. Click on the link to download Gujarat High Court Class IV Hall Ticket 2018-19. Now a new window will open on your screen. Enter your registration details like user id and DOB. Submit your information carefully and then again a new window will open. Your Gujarat High Court Admit Card 2018-19 now available in front of you. Download it and take the hard copy needed at examination time. Conclusion: Gujarat High Court is going to conduct Class IV examination for filling up 1149 various vacancies. To participate in the examination, it is necessary that you must have Gujarat High Court Admit card 2018-19. The examination will be going to conduct on 17.02.2019. Applicants can download their Gujarat HC Class IV Exam Hall Ticket 2018-19 either here or official site. Dear Candidates, Are you waiting for Gujarat High Court Admit Card 2018? If yes now your wait is over. Gujarat High Court Department will be conducting a written exam for 75 Civil Judge Vacancy. The Candidates who are going to appear for civil judge exam must require to download the Gujarat High Court Civil Judge Hall Ticket 2018. The Preliminary Examination will be held on 09.09.2018. Aspirants should read below article to collect more details regarding Gujarat High Court Civil Judge Call Letter 2018. Gujarat High Court Department has released a notification of 75 Civil Judge Vacancy. Now the department is ready to organize the Written Exam for the candidates who had applied for Gujarat High Court Civil Judge Exam 2018. For entering in the Examination Hall Candidates are required to carry the Gujarat High Court Hall Ticket 2018. Applicants who forgot to carry Gujarat High Court Call Letter, they will not allow getting appear in the examination. Candidates who are applying for Civil Judge Vacancy their selection will be based on the Written Test and Oral Test. Firstly the candidates have to get appear in Gujarat High Court Preliminary Exam. Applicants who clear the Preliminary Exam will be allowed to get appear for Main Exam. To shortlist the candidates the department is going to conduct the Main Exam. After both Preliminary Exam and Main Exam aspirants will be called for Interview. Applicants must carry one ID Proof with them at the exam center. ID Proof is required to check Identity of Participants. Aspirants may also take one photocopy of ID Proofs with passport size photo. Candidates must download Gujarat High Civil Judge Court Hall Ticket 2018 along with these documents. Here we gave you a list of documents that aspirants should carry with them. Candidates can download the Gujarat High Court Civil Judge Call Letter from here. Our team is providing you easy and simple steps to download the Gujarat HC Civil Judge Call Letter 2018. You can follow these steps as mentioned below for Gujarat HC Call Letter. Fill up the asked information like registration no. id, password, dob & others. Your Gujarat HC Hall Ticket will be get appear on your screen. Download it and take print of out and must carry on examination time. Conclusion: Gujarat High Court Admit Card will be available soon on the official website for Preliminary Exam. Applicants who are going to appear in Preliminary Exam can download their Gujarat High Court Civil Judge Hall Ticket before the Examination date i.e 09.09.2018. You can stay connected with us for latest updates regarding the Gujarat HC Civil Judge Admit Card. Are you looking For Gujarat High Court Civil Judge Exam date ?? ?, then here is a good news for you. Gujarat HC is going to organize Preliminary Exam for 129 civil Judge vacancy on 13th August 2017.Candidates who have filled form for 129 CJ Vacancy should download your Gujarat High Court Admit Card 2017 either from here or from official website. By Using Application ID & DOB you can easily get your Gujarat High Court Civil Judge Admit Card 2017 from here. GHC Gujarat has published notification on 16.05.2017 for 129 Civil Judge Vacancy. Now the department is going to conduct written examination in the month of August 2017. Candidates are advised to download your Gujarat High Court Civil Judge Admit Card 2017 on or before exam date. To get more information about Gujarat High Court Hall Ticket, GHC Exam date etc. you can collect all details from below article. Gujarat HC has released notification for 129 Civil Judge (Temporary & regular basis) Vacancy. Online registration for Gujarat High Court Recruitment was started from 23.05.2017 & Closing date for submit application form was 22.06.2017. Huge no. of applicants has applied online form against High Court Gujarat Jobs 2017. Now the department will conduct written examination on 13.08.2017. Your Gujarat High Court Admit Card 2017 will be published on official website. You can also download Gujarat HC Admit Card 2017 before the examination from here. Rest of the information about GHC Civil Judge Call letter is shown below. Exam Pattern/ Procedure : Preliminary Written exam will be objective type in nature of Total 100 Marks. Time duration of exam will be 02 Hours. In Exam, the language of 75 Questions will be English & Rest 25 question will be in Gujarati Language. There will be negative Marking in exam. You can check Gujarat HC Exam Syllabus from here which is helpful for your exam. After Downloading Gujarat High Court Admit Card, candidates should check lal details mention on it like Roll No. Exam Venue & Time & Other. Applicants, if you dont know how to Download Gujarat High Court Civil Judge Admit Card then check step by step process for Downloading Gujarat High Court Hall Ticket 2017 which is given below. Read all the steps carefully & by using these steps you can easily download your Gujarat HC Civil Judge Admit Card 2017. First of all log on to the official website www.gujarathighcourt.nic.in. Now click on Download Gujarat High Court Admit Card Link. Check all details mentioned on admit card which is shown on screen. Take print out of Gujarat HC Hall Ticket 2017. Note : Candidates are advised to bring your Gujarat High Court Exam Admit Card at the time of examination, because without GHC Civil Judge Admit Card entry is not allowed in exam hall. Conclusion :- Gujarat High Court Admit Card 2017 For 129 Civil Judge Vacancy. Candidates should download Gujarat HC Hall Ticket 2017 from here before the exam date. exam will be held on 13.08.2017.